Lumwana Mining Company Limited (LMC), a copper mining company owned by Barrick Gold Corporation is situated in the North Western region of Zambia, some 300 km west of the Zambian Copperbelt and 95 km south west of the provincial capital of Solwezi. The mine is a multi-pit, multi staged operation mining approximately 100MT of ore and waste per annum and producing copper concentrates containing an average of 120,000 tonnes of copper metal per year over a twenty (20) year mine life, making Lumwana the largest single open cut copper mine in Africa. The Company is now looking for an experienced and qualified individual to be considered for the position Boiler Maker. Review of maintenance tasks and procedures including JSA’s and SOP’s. Maintain a professional work ethic through effective, honest communication with supervisors, peers, and operations personnel at all times. Read and interpret drawings with regards to fabrication and manufacturing of new and existing works related to boiler making. Plan, schedule and monitor work of support personnel to assist immediate supervisor. Ensure compliance with relevant procedures, polices, legal requirements and consent conditions. Responsible for the day to day maintenance of the Infrastructure, new projects and plant and equipment within the LPDC operation. Extensive experience in maintenance of fixed plant machinery, associated infrastructure complete with Mechanical industry qualifications. Must have good communication skills in the English language. Must have a valid Zambian drivers’ licence (Manual). If you meet the requirements, submit your online application by clicking ‘APPLY NOW’. 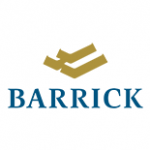 To apply please visit jobs.barrick.com.